Happy Saturday and welcome to Day 25 of the 25 Days of Christmas Crafting Fun with Cooking with Cricut and Paper Crafting World. Hasn't it been an absolute blast? We are super excited as we bring you a new theme today. For this is the REAL reason for today and everyday that we experience. Today's theme is, Jesus, The Reason for the Season. 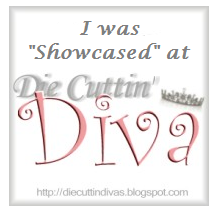 Be sure to stop by Cooking With Cricut to see all the wonderful inspiration form my design team sisters. In addition, Melinda is making available for FREE digi and cutting files. We have some fabulous sponsors for this event. Be sure to leave some love on the Cooking With Cricut post each day for a chance to win one of the weekly prizes and the Grand Prizes. This week's prizes include: Quick Quotes paper and ink, $20 download gift certificate from Paper Crafting World, *Pazzles Craft Room 1 year subscription, *The Twinery Ultimate Sampler Pack, *$25 Cutter's Creek gift certificate, and *a stamp, stamp pad, and block set. Be sure to carefully read the requirements listed on the Cooking With Cricut blog to be sure your are eligible to win the prizes. For your viewing pleasure, I am sharing a card created using my Cricut! Like the elegant ornament 3D look. How did you do the 3D look on this. WOW! This card is beautiful, I love the ornament, that is looks awesome. TFS. I absolutely love this card!!! Well, I'm a new follower for sure -- I'm loving your blog!! !